Jeremiah O'Donovan Rossa was just 14 years' old when the Great Famine occurred. His father died of malnutrition in 1847 and Jeremiah got a job working in his cousin's shop in Skibbereen, where he set up the Phoenix National and Literary Society, dedicated to working for the freedom of Ireland from English rule. This society became a branch of the Irish Republican Brotherhood, and Rossa became one of the staff of its newspaper, "The Irish People." Forewarned of a planned Fenian uprising, the government had the entire editorial staff of the newspaper arrested and imprisoned for Treason. 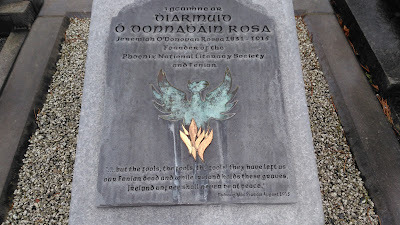 Released from prison, in 1871, but banned from returning to these shores, (until the ban was lifted in 1890), Rossa went to the USA where he ran a hotel and spent the rest of his life organising the Fenians on the other side of the Atlantic and raising funds for terrorist campaigns in England. On his death, in 1915, his body was returned to Ireland and Patrick Pearse's oration at his grave-side was the greatest rallying cry for Irish rebellion. "Jeremiah" is an anglicised form of the name "Diarmuid," very common among the Donovans, the form used by the priests in Babtism, since there was no known Saint or Biblical character of the name "Diarmuid" or its usual Anglicisation as "Dermot." So, officially named "Jeremiah," he was known locally as "Diarmuid," and preferred this Irish form. 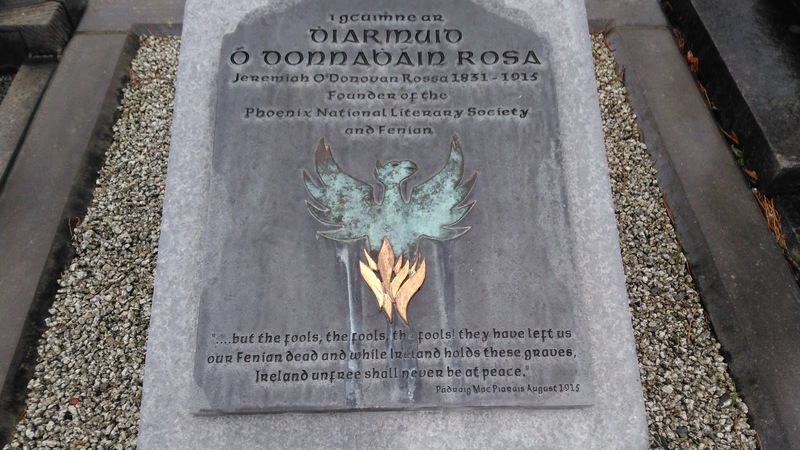 He added "Rossa" to his surname (born in Rossmore, Reenasireena) to distinguish himself from the thousands of Diarmuid O'Donovans in Munster at that time.